During President Obama’s first term in office, OSHA consistently increased enforcement in every measureable way, year over year, and there is every reason to believe that trend will continue. OSHA’s budget increased early in President Obama’s first team, and that allowed OSHA to hire more than 100 new compliance officers. The agency also redirected most of the resources and personnel who had formerly been involved in compliance assistance and cooperative programs into enforcement. As a result of this big increase in enforcement personnel, we saw the number of inspections increase from averages in the mid-30,000’s during the Bush Administration to the mid-40,000’s through President Obama’s first term. Barring a prolonged trip over the Fiscal Cliff and actual implementation of sequestration, the trend of increasing enforcement personnel and increasing inspections will continue. 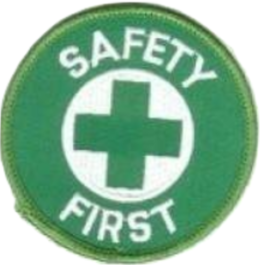 In addition to more frequent visits from OSHA, the OSHA leadership team also modified its Field Operations Manual for the purpose of driving up average and total penalties per inspection (i.e., by raising minimum penalties, average penalties, and eliminating penalty reductions available for size and safe history). As a result, the average per Serious violation penalty doubled from the Bush Administration (approx. $1,000 per violation) to the end of Obama’s first term (approx. $2,000 per violation). 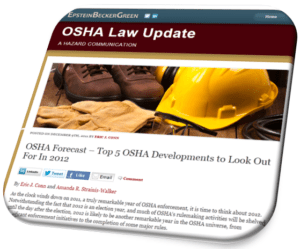 OSHA’s leadership team has expressed a goal of continuing to grow that average to approx. $3,000 per Serious violation. We also watched the frequency of enhanced citations (i.e., Willful and Repeat violations that carry 10x higher penalties) increase at a rate of more than 200%. Those changes, and other aggressive enforcement strategies by OSHA, have resulted in the Agency doubling the total number of “Significant” enforcement actions (cases involving penalties of $100,000 or more), and tripling the number of cases involving total penalties over $1M. That trend is also expected to continue. The Democratic Party unveiled its Party Platform during President Obama’s Nominating Convention, and offered a glimpse into what we can expect from OSHA in 2013 and beyond. The platform called for a focus on “continu[ing] to adopt and enforce comprehensive safety standards.” Many dubbed the 2012 a “status quo election,” which is probably right, and because the status quo at OSHA over the past four years has been a trend of increasing enforcement and focused rulemaking, that is precisely what we should expect from OSHA over the next four years. Less flexibility for employers in resolving cases with reasonable settlement positions. New Injury & Illness rules that would require employers to report (not record) more incidents directly to OSHA. OSHA has fallen in love with the huge dollar recoveries it has been able to achieve through Whistleblower actions (especially in comparison to what it believes are civil penalties that are too small for traditional safety and health enforcement). As a result, late in President Obama’s first term, OSHA developed a special office for Whistleblower activities in Washington, DC, and created and filled a new post – Whistleblower Protection Program Director. This development is just one in a string of several over the past few years that signals an increasing investment by OSHA in Whistleblower, which is expected to continue to grow during President Obama’s second term. OSHA enforces the Whistleblower provisions of the OSH Act and 21 other statutes related to reports of alleged violations of various workplace, commercial motor vehicle, airline, nuclear, pipeline, environmental, railroad, public transportation, maritime, consumer product, health care reform, corporate securities, food safety and consumer financial reform regulations. 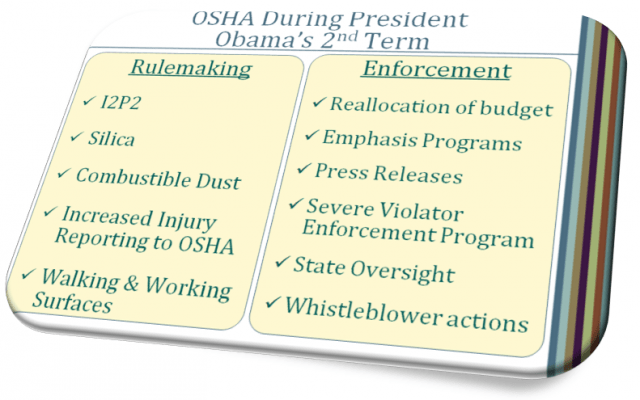 Here is some additional information about OSHA’s Whistleblower Program. ‹ PreviousThe Crazy Things People Do – Another Reason To Adopt, Promote & Nurture A Proactive Safety Culture!